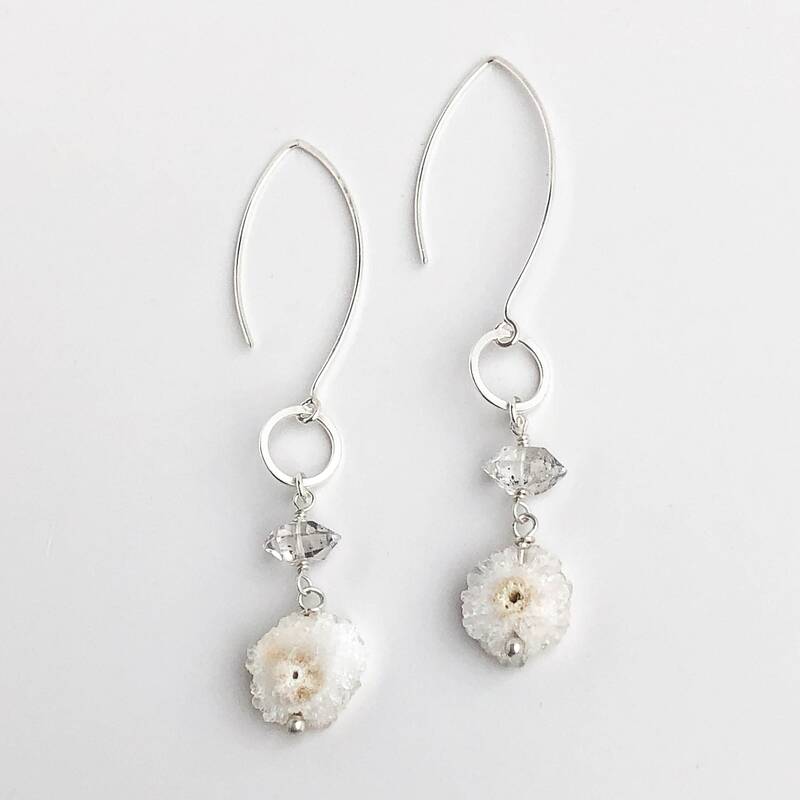 * Longer ear wire style gives these length without weighing you down and makes them more secure to stay in your ears! 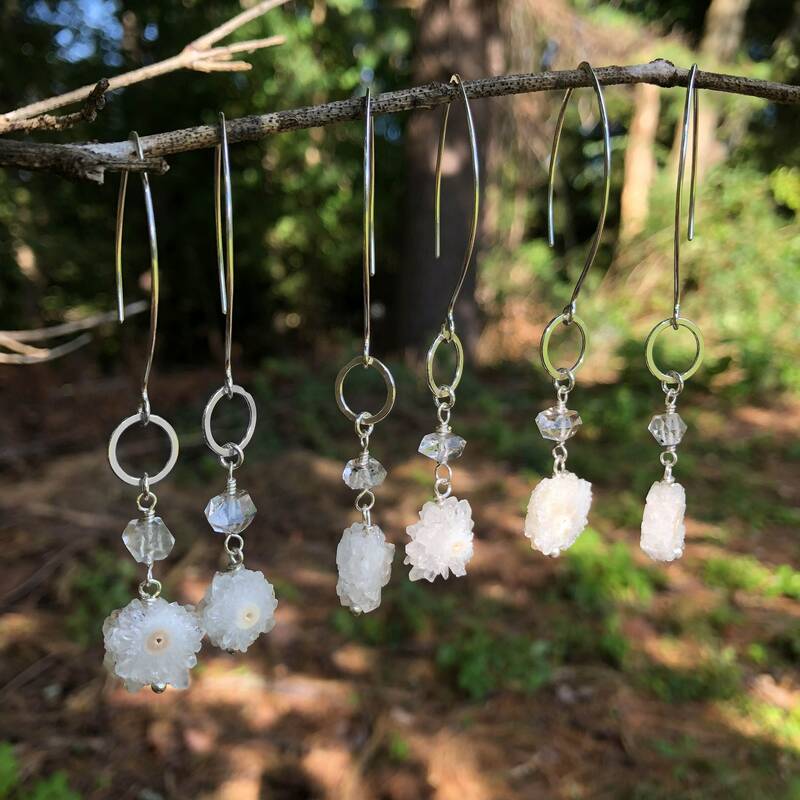 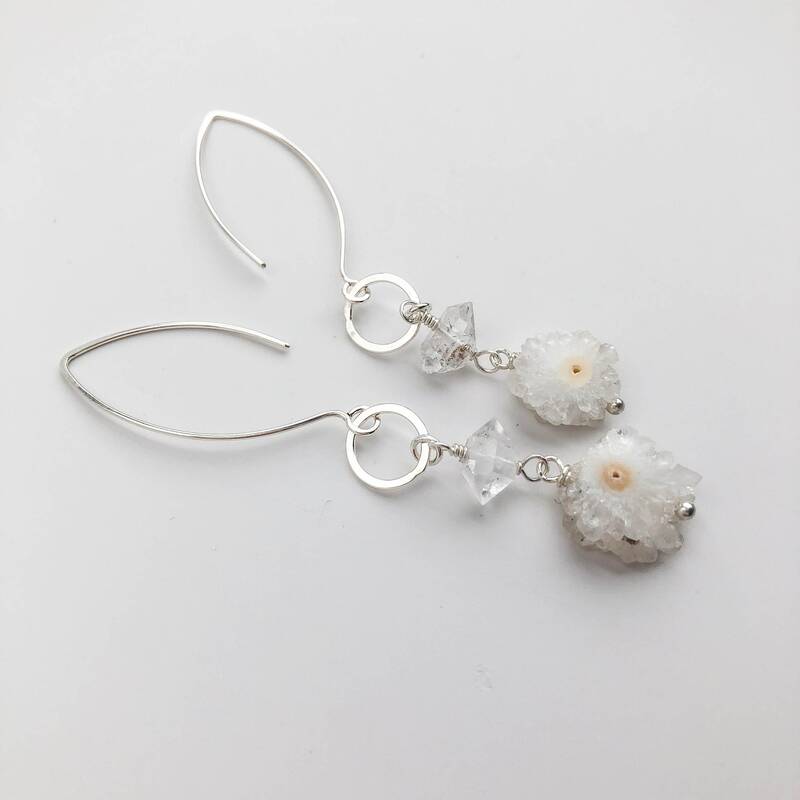 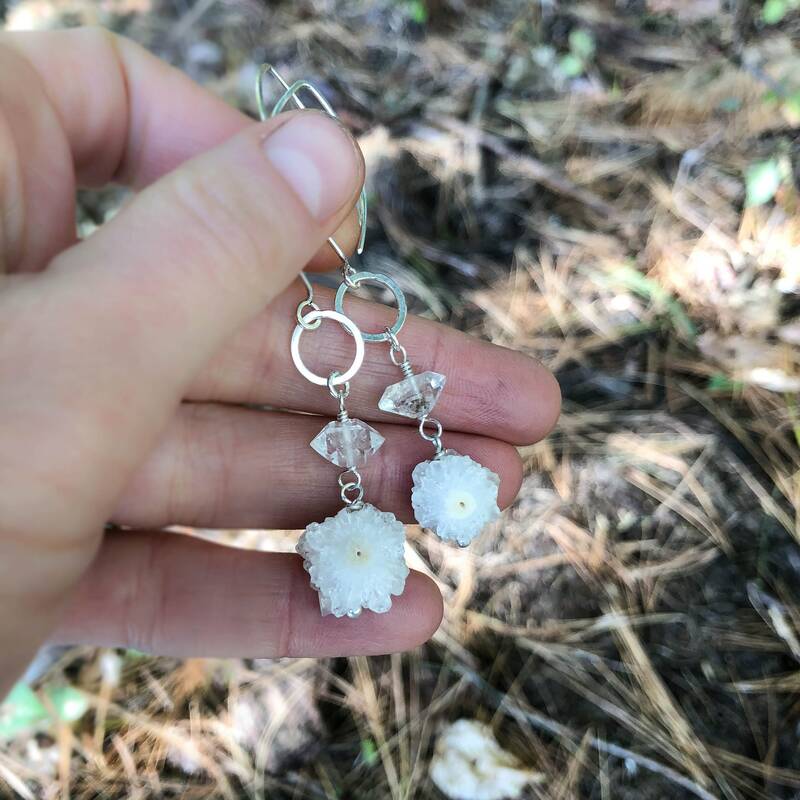 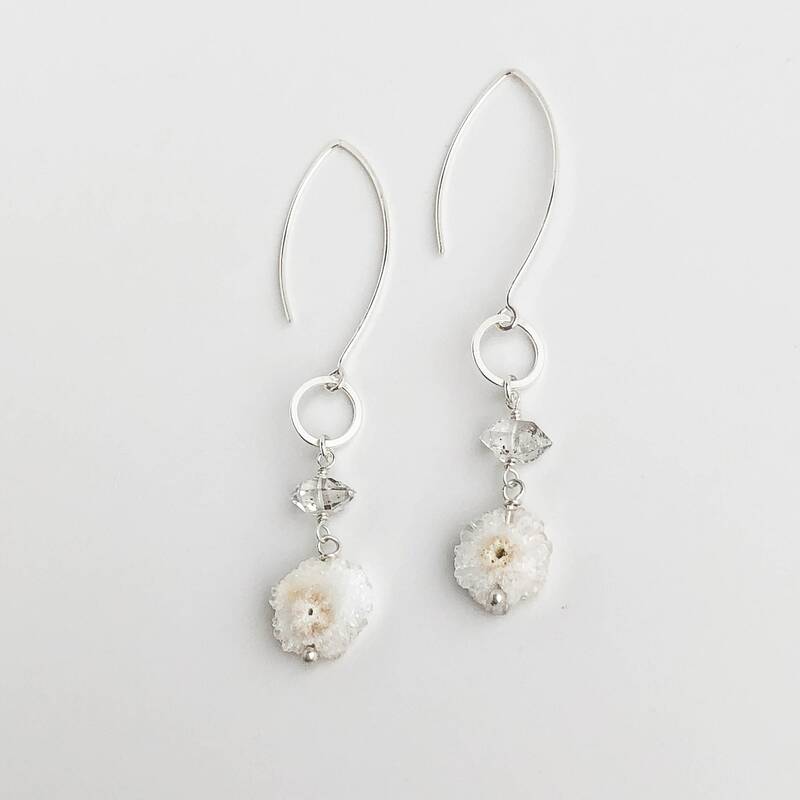 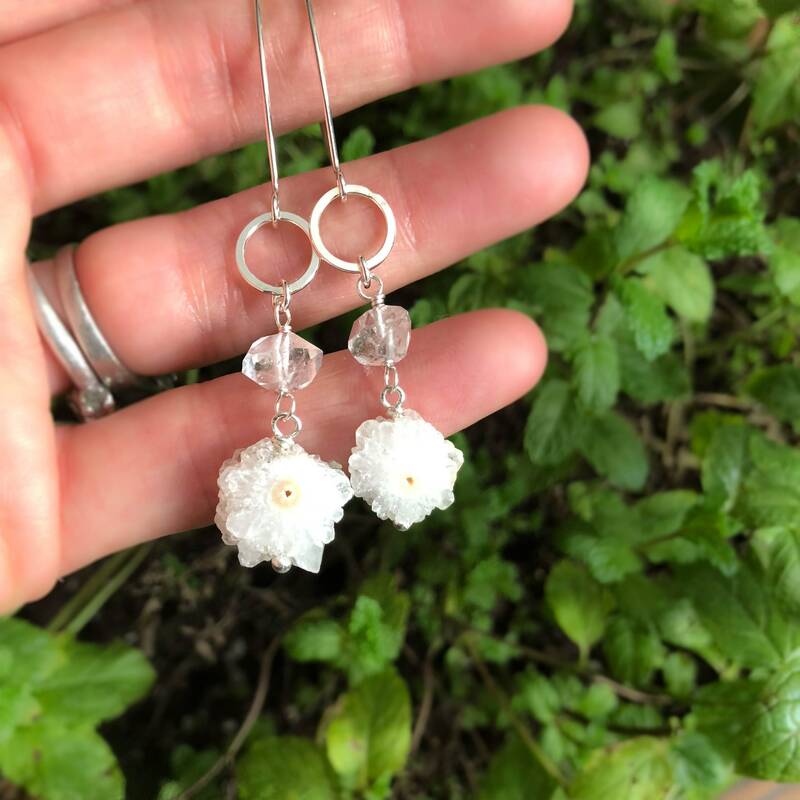 Handmade with natural drusy stones, raw herkimer diamond crystals and nickel free sterling silver, these earrings are long but still lightweight and super comfortable to wear. 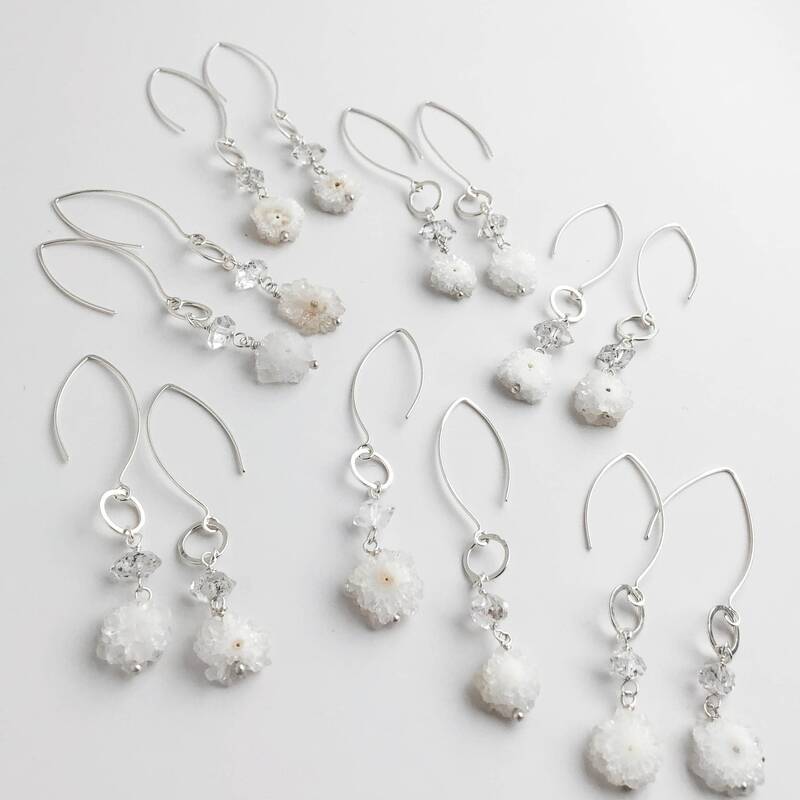 Each pair is a one of a kind as the natural crystal formations are each unique and full of their own unique look. 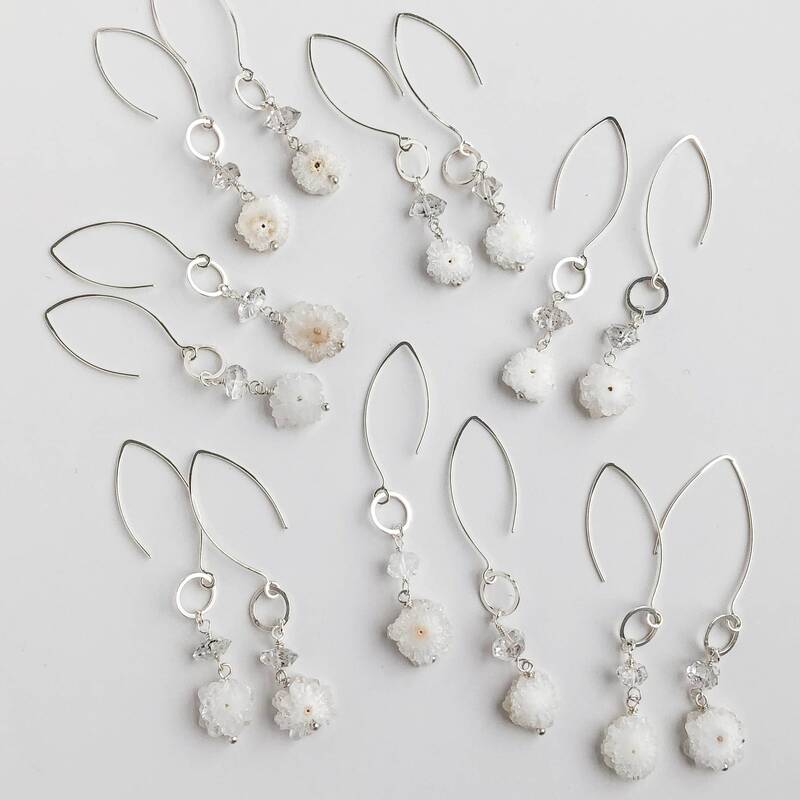 I created 7 pairs of these, there is a photo of all 7 pairs to demonstrate the slight variations in the natural stones.